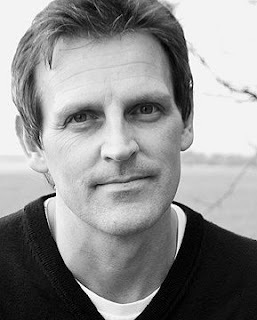 Patrick Carman is the award-winning author of many books for young adults and children. He grew up in Salem, Oregon, and graduated from Willamette University. His birthday is February 27th, 1966. He spent a decade living in Portland, where he worked in advertising, game design, and technology. Patrick Carman writes books for young adults and children for Scholastic, Harper Collins, and Little Brown Books For Young Readers. His bestselling books and series includes The Land of Elyon, Atherton, Elliot’s Park, 39 Clues, Floors, Trackers, Thirteen Days to Midnight, Dark Eden, Pulse, 3:15, and Skeleton Creek. Mr. Carman’s books have been translated into approximately two dozen languages. Mr. Carman spends his free time supporting literacy campaigns and community organizations, fly fishing, playing basketball, golfing badly, doing crosswords, watching movies, dabbling in video games, reading (lots), and (more than anything else) spending time with his wife and two daughters. I didn’t figure out I wanted to be a writer until I was 30. Late bloomer! When I was 5 my favorite book was Where the Wild Things Are. When I was 10, it was Charlie and the Chocolate Factory. In high school it was The Catcher in the Rye. College, The Once and Future King. And as an adult, my favorite book overall is Frankenstein. In each case, these were simply the books that I responded to the most, the books I remember the most. In your book; TREMOR, can you tell my Book Nerd community a little about it? TREMOR is the second book in the PULSE trilogy, which takes place in 2051. I’ve envisioned a not-too-distant future where the entire population of the United States lives in one of two super cities. Scientific advancements have uncovered a one in a million trait: some people have a second pulse that allows them to move things with their minds. Faith Daniels has a second pulse, and she becomes our central figure in a plot that may or may not save one of the two super cities from total annihilation: 300 million people. For those who are unfamiliar with Faith, how would you introduce her? Faith is an independent, strong female character who finds herself with a power she didn’t choose. She has a lot of growing up to do, and her journey takes her to some dark places. Ultimately she finds happiness, but it comes at a tremendous cost. I just turned in the last PULSE book and I’m not sure what comes next. A YA trilogy is a major undertaking, so right now I’m contemplating a long winter’s nap! This is such a strange idea! I wouldn’t mix any of my characters together outside of their own world. What was one of the most surprising things you learned in creating Dylan? Dylan has a better sense of humor than I thought he would when I first started writing his voice. Working on a farm, an experience that convinced me I had to go to college. Farming is way too hard. This would have been fourth grade and, sadly, I can’t remember her name. But I do remember she gave me an Andy Gibb record on Valentine’s Day and I gave her a giant Hershey’s Kiss. It was fifth grade and I remember it was all very planned out – where we would meet, what time – and every other fifth grader knew about it. It was headline news. I don’t know the exact time, but I’m certain it was during a movie. That’s usually when I lose it – at the movies. I was a teen in the 1980’s and looking back I think it was kind of perfect. The 60’s would have scared me. 70’s would have been no better or worse than the 80’s, and anything after that sounds very complicated socially. And I can’t even relate to the 50’s or earlier, so those decades were the first to go. 80’s all the way! Being a dad – it’s challenging, scary, inspiring, hilarious, and fulfilling all at once. And a thousand other things! Being a parent is the ultimate adventure. Thank you PATRICK CARMAN for making this giveaway possible. Both this and book 1 sounds good, I haven't read the first one yet but it's in my wish list, thanks!